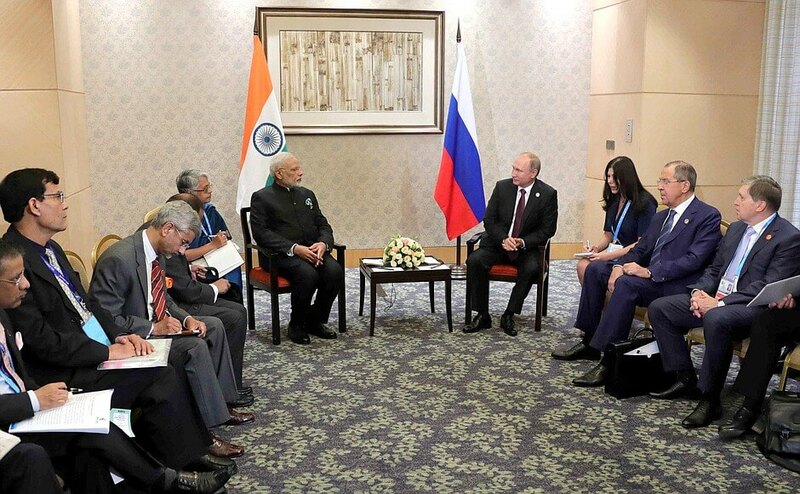 Vladimir Putin held a meeting with Indian Prime Minister Narendra Modi on the sidelines of the BRICS summit in Xiamen. 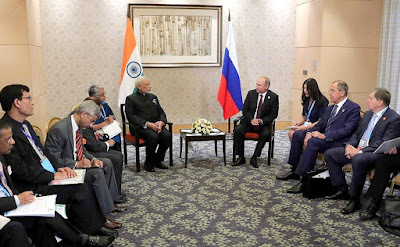 Vladimir Putin held a meeting with Indian Prime Minister Narendra Modi. Current topics and prospects for the development of relations between the two countries were discussed. Once again, please accept my sincere greetings. 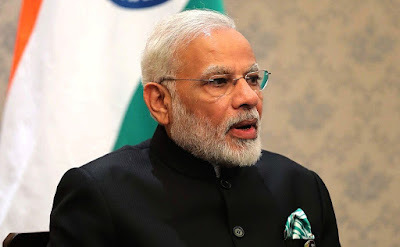 Vladimir Putin had a meeting with Indian Prime Minister Narendra Modi. 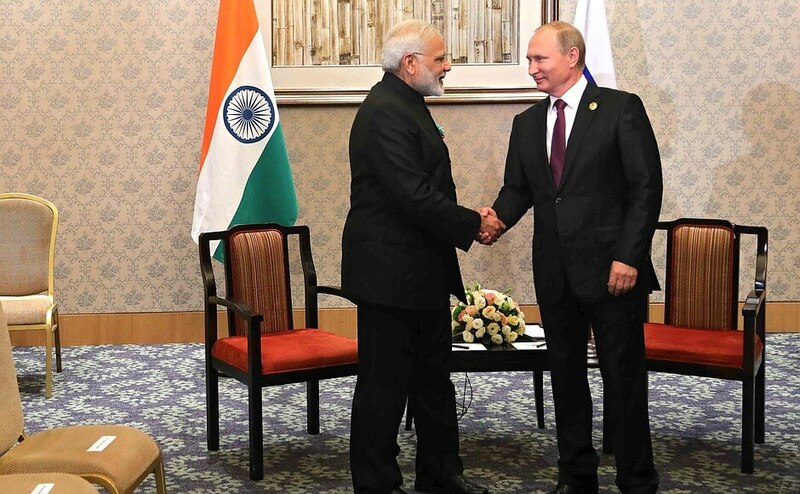 Relations between Russia and India have deep historical roots. Today, we describe them as privileged, strategic relations. They are more than 70 years old and this year we have celebrated the 70th anniversary of the establishment of our diplomatic ties. I remember your visit to Russia quite recently as part of the St. Petersburg Economic Forum and then we worked well together. I have to say that the results, including those of our joint work, are certainly positive. We maintain permanent relations between both our foreign ministries and our governments and we are actively promoting military-technical cooperation. While last year we observed a certain decline in our trade relations – minus 1.6 percent, in the first six months of this year, we observe considerable growth – almost 22 percent, 21.9 percent. It goes without saying that we should preserve this positive trend. I would like to thank you for India’s invariable high-level participation in the Eastern Economic Forum. We will expect your representatives, your delegation led by the Minister of Foreign Affairs in Vladivostok in several days from now. I am happy to have the opportunity to discuss all current matters and prospective tasks on the sidelines of today’s event. I would like to thank you for the opportunity to meet again today. We recently met on the sidelines of the G20 summit. Besides, we had an opportunity to meet in St. Petersburg. I will always remember that meeting, your hospitality, and the level at which I was received. I liked the business-like atmosphere very much. I saw how we could work together to raise the level of our relations and how we could work under your guidance, discuss the economic situation in the world and bring it to a new level. Let me congratulate you on the forum’s high level of organization. We meet at different levels, of course, and we also hold frequent and fruitful meetings and exchanges of high-level visits, during which we discuss different subjects in detail. Overall, our talks yield results and we discuss everything in a substantive way. 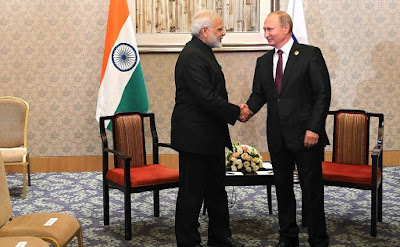 0 Comment to "Putin met with Indian Prime Minister Narendra Modi"